To have a successful career in publishing, authors must sell books and produce new releases on a regular basis. In order to complete new works, many writers use Goal Setting to stay on track and meet deadlines. A combination of short- and long-term goals can help writers achieve success, on a small or large scale. Goals can include daily/weekly/monthly/annual target word counts, self-imposed deadlines for chapters/manuscripts/series, meeting sales goals, making a bestseller list, winning a prestigious contest, etc. They can also include attending conferences, conventions, and workshops. Book signings can be part of an author’s goals too. Word counts depend on many factors. Authors may have other jobs or careers in addition to writing. Some have children or older parents to care for. By setting achievable goals, a writer can make progress while not putting too much pressure on herself. Ten thousand words a day may be doable for some, and others are able to write a chapter or a thousand words. Track progress and avoid comparison to others. Deadlines can be effective for those who work well under pressure, but be sure to set realistic deadlines. A set-up for failure won’t help the creative process. Slower writers may need to complete two or more manuscripts before submission or self-publication to ensure timely releases. Book sales have a direct correlation to a bestseller list goal. However, a lot of marketing and promotion time goes into making those sales. Time spent on marketing and promo is time not spent writing. Word counts and deadlines may require adjustment to take those aspects into consideration. Budgeting comes into play as well. Contest finals/wins can increase exposure and, subsequently, sales. Entering contests can be costly and time-consuming, and each author has to weigh the benefits versus the expenses. Is it a good return on investment? Conferences, conventions, workshops, and book signings also mean time away from writing. They all have their advantages, though. 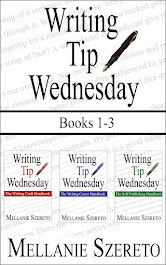 Improving writing craft and learning about the publishing industry help authors grow. Reader interaction is important for maintaining readership and increasing it. Are they good choices for a writer’s career? Use goal setting to map out a good mix of writing, promotion, and education by budgeting both time and money. Assess which activities help achieve designated goals. Adjust when necessary!